When I entered Japan in late 1980s, there were limited guide books about living, working or even tourism in Japan. It was not easy to find the information one was looking for back then and it is not easy now, even with all the technological advancement in communication field. Simple daily life tasks like finding a restaurant for a familiar taste of home, or getting from one place to another in Japan’s complicated transportation system are still a challenge for many. As someone who has faced these issues for quite a while, to assist primarily foreigners including tourists, now I am gathering the essential daily use information in one place for the easy access of those in need. 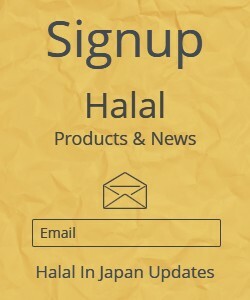 Halal In Japan is an informational website, introducing all types of Halal and Muslim Friendly places and Businesses in Japan, whilst also providing general tourism information. It aims to offer extensive information about businesses catering to the growing needs of Muslims residing in Japan as well as visitors from abroad. Those who are providing halal products or services in the Japanese market may Fill Out The Form to register their name. IT IS FREE. ​Halalinjapan.com is not related with any educational institution or government.